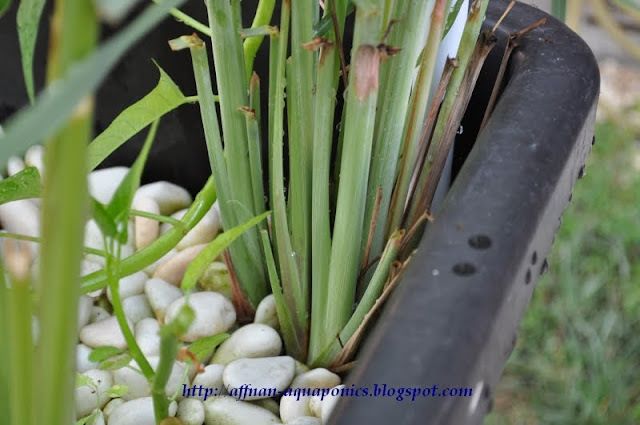 Serai or Cymbopogon citratus (Lemon Grass) is a common plant for the kitchen in S.E. Asia region. They are use for various dishes. Thai and Malay cooking use lots of this plant. Commonly grown on Sandy Loam this plant thrive without any care or maintenance. Lemon Grass are commercially grown to provide essential oil extract or for domestic use in cooking. 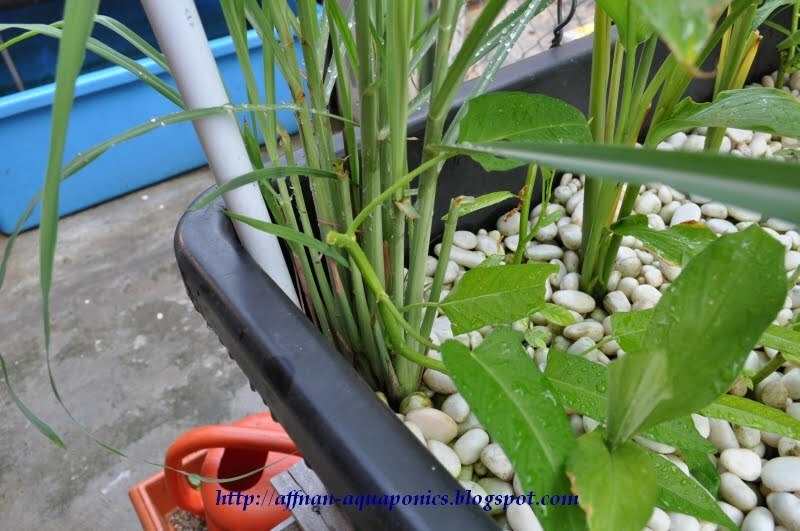 I am testing this plant in Aquaponics, being a plant that require dry sandy loam it may not grow in Aquaponics. This plant is about 2 months old. It looks good and new shoots sprouting out from the initial planted. 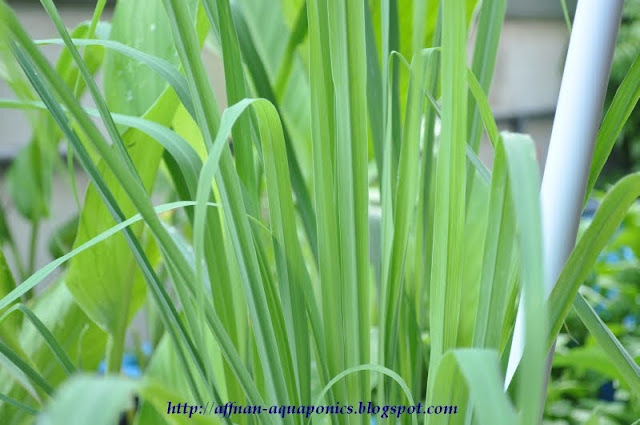 Blades of leaves from the Serai, there is another variety that not use in cooking the "Serai Wangi" or Cymbopogon Nardus where their leaves are use to ward off mosquito. I pulled out the plant and look at the roots. This is a sign of healthy root, for such a small plant the roots is enormous. I was not confident that serai will grow in Aquaponics, but after watching it grow I am convinced. 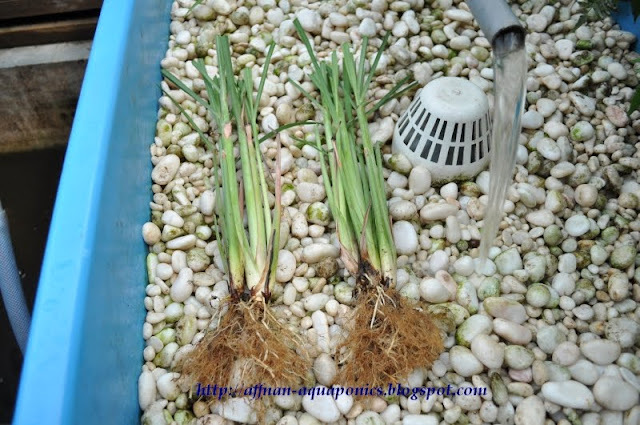 I am replanting it to the other growbed first divide the bunch into two, even a single plant will do. Shown here about 3 to a bunch with root trimmed. 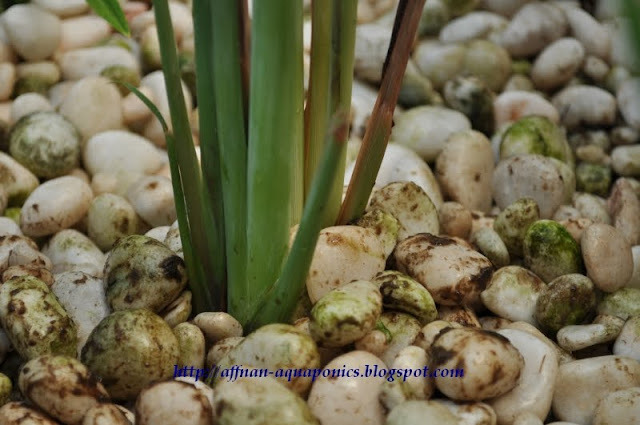 This is something I don't know what to call in English, its not a bulb, its not rhizome. Planted it with the Pandan earlier and two bunch should be enough for my kitchen. I need to see whether the roots will cause problem to that Bell Valve nearby. 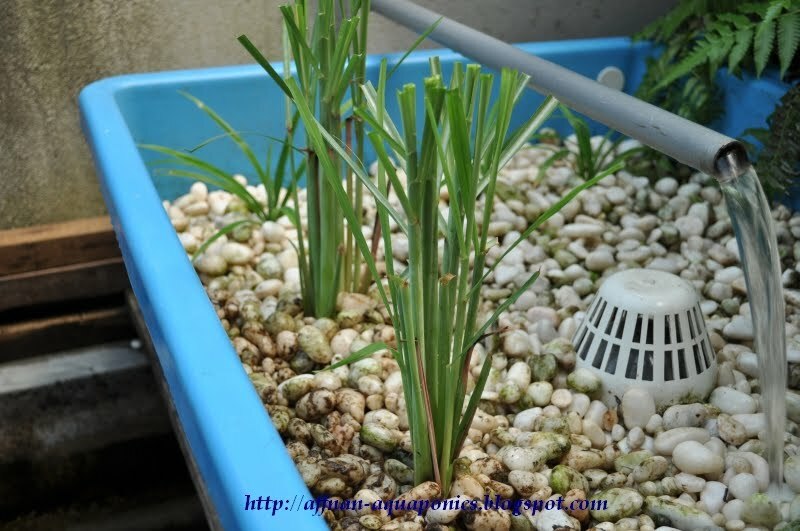 If you want to try this plant, get some from the supermarkets and plant it in the grow bed. It will take root in about a week and just provide some shade to protect it from the heat initially..
Close up of the newly planted Serai. I have been planting serai for 3 weeks in Abu Dhabi. They were bought from the grocery. I placed them in water for 1 week & saw some roots sprouting. Then I transfer to a pot with top soil. Now it is just growing more long roots. No sight of top leaves. When will the leave appear? It will depend on how much was cut for shelf display, normally 2 weeks is a norm time. 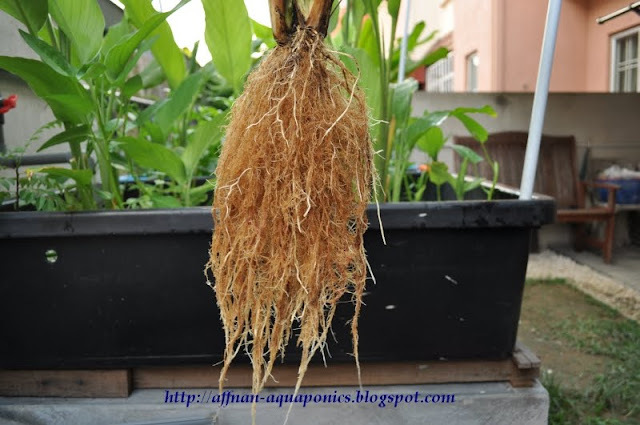 Roots forming is a sure sign of growth. Give it some sun and see what happen in another week.